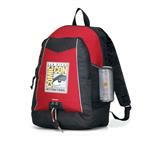 The Essence Backpack - a great team or traditional backpack with some nice styling. 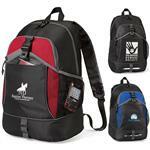 Equip students and athletes with something designed to keep them prepared for anything with the Essence Backpack. Each 600 denier polyester backpack features a front zippered pocket, a zippered main compartment, a side mesh water bottle pocket, a top grab handle and padded, adjustable shoulder straps. 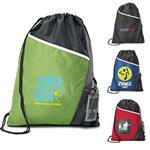 Creating a personalized look is easy with your choice of bag colors and imprint locations. 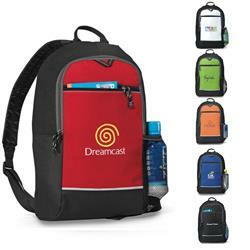 A great back to school or two strap backpack!